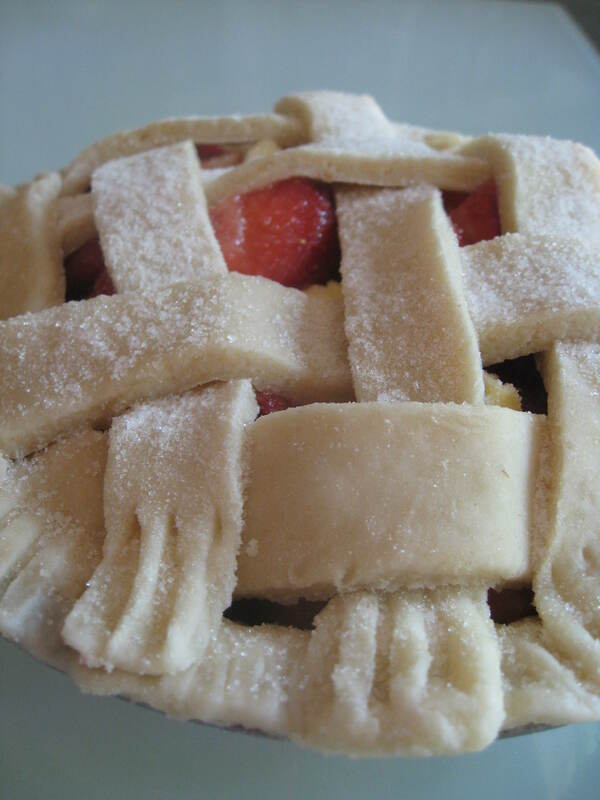 Strawberry pie became an Easter tradition a few years ago with my brother and sister-in-law. 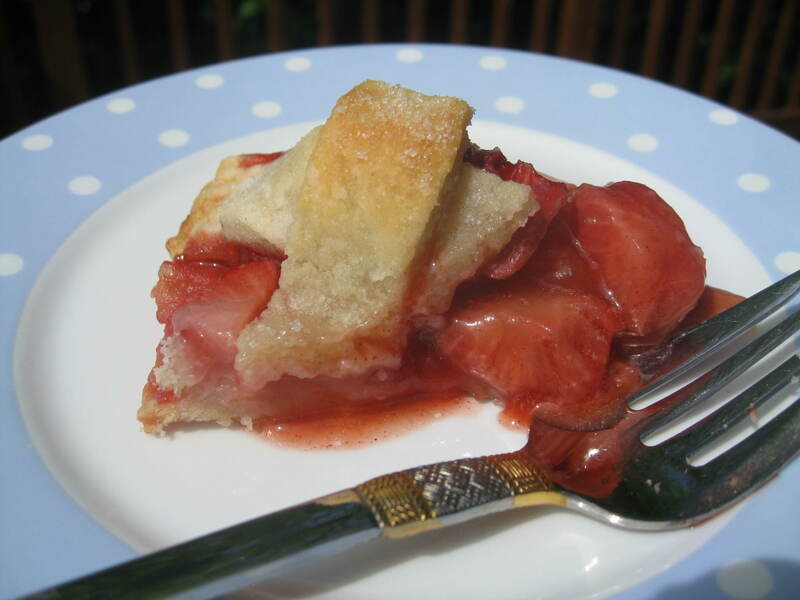 I had been searching for a strawberry pie recipe – not a chilled strawberry pie, but a hot strawberry pie. I looked high and low, but no one seemed to make them (I’m sure there are recipes out there, so don’t be offended if you have one and I did not find/use it!). After my failed search, I decided to just use a blueberry pie recipe and substitute strawberries! 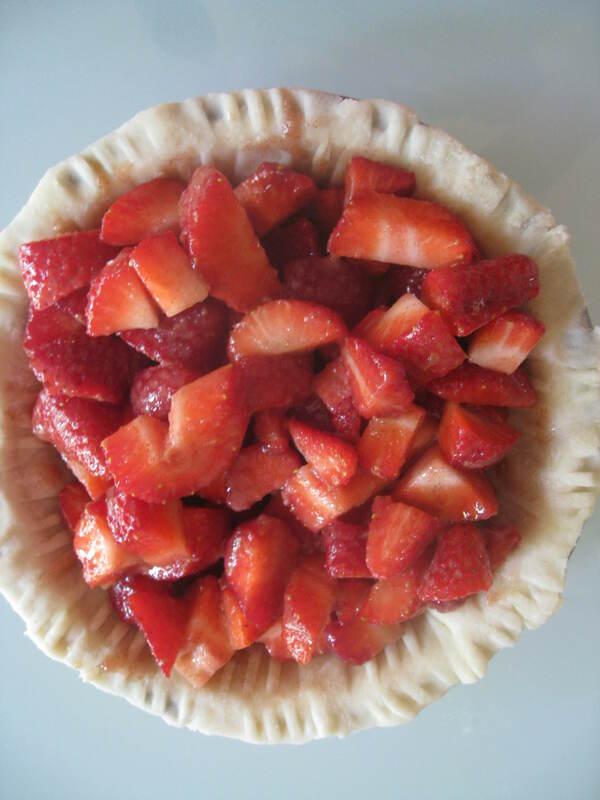 I use about 1/2 of the sugar that the blueberry pie calls for because strawberries are already so sweet. 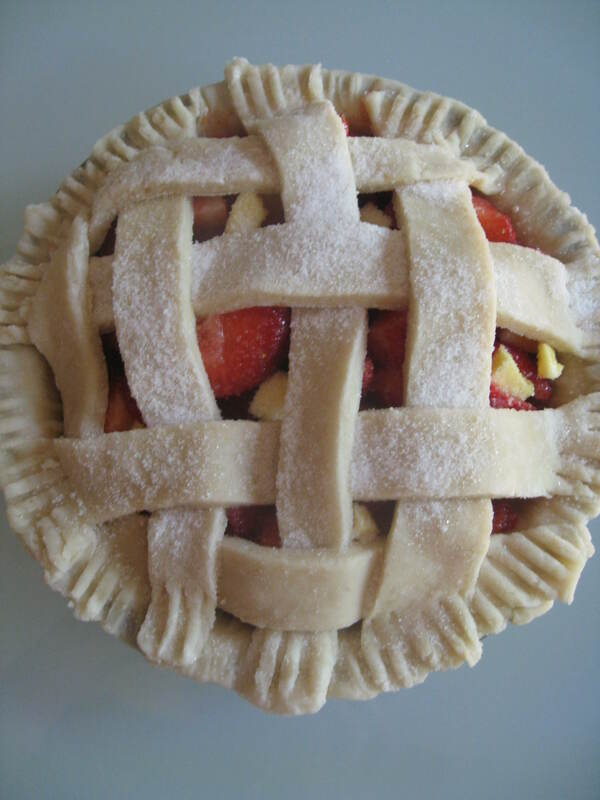 I’m not sure why strawberries are left out of the normal pie selection, but I suggest you make one today! Make and roll out top and bottom crusts in usual manner. Chill if making on a hot day and butter starts melting. 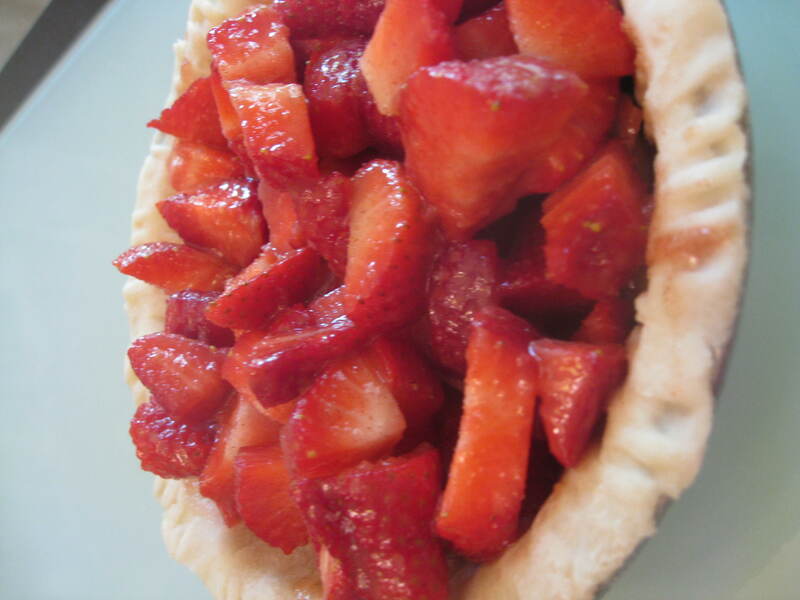 Mix the filling ingredients together and place in unbaked pie shell. Dot the butter in small pieces on the filling. Cover with pie shell cover, sprinkle with sugar and bake for 1 hour or until the crust is brown and you can see the butter bubbling out of the holes. Start the oven at 420 and then reduce to 350 after 10 min.